This chapter examines the financing, organization and regulation of long-term care in OECD countries. Historically, long-term care services and supports constitute a blending of social welfare benefits and health care provision. Depending on the complexity and severity of care recipients’ needs, delivery is characterized by both specialized nursing and medical care and personal and home-help services such as assistance with meals, grooming and household chores. The delivery of long-term care is accomplished via institutional (residential) care, formal home care services, as well as through informal care provided by family members or hired care givers. In line with the preferences of older people to remain in their own homes, the past decade has seen a substantial shift in most OECD countries towards more home and community based care. This trend has regulatory and cost implications for monitoring the quality of care, which in the past has focused predominantly on institutions. Moreover, increased demand for formal services, in both residential and home care settings, due to ageing population pressures, also has implications for the long-term care workforce, with shortages anticipated over the next 20–40 years. While funding of long-term care services comes mainly from public sources, there are very large variations between OECD countries in the resources dedicated to this sector. Eligibility for coverage also varies between countries, ranging from universal systems - based solely on need and not on income - to long-term care systems that apply means testing and safety-net principles to determine who qualifies for publicly-provided long-term care services and benefits. However, irrespective of financing model, all countries use some form of needs assessment to judge an applicant’s level of functional impairment and care needs. Financial support is provided via in-kind services or through cash benefits to recipients to purchase the services they need (with varying degrees of restrictions). Cost-sharing, in the form of user charges, play a role in all countries, to different degrees, with service users, unless they are destitute, having to meet a proportion of the cost of their care from their own private resources. The chapter also looks at the regulatory mechanisms used across a selection of countries to monitor the quality of long-term care, particularly in residential facilities, identifying three broad quality assurance approaches. 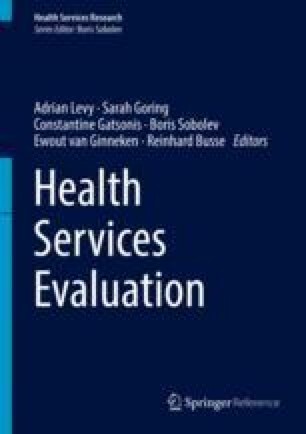 The chapter ends with a discussion of key challenges in quality monitoring and its role in enhancing user choice and stimulating improvements in providers’ performance. Duyvendak JW, Grootegoed E, Savernije MT, Tonkens E. Day 1: long-term care in Europe, the state of the art. Presentation given at does Europe care? European Conference on Long-Term Care and Diversity, Amsterdam; 2009. http://www.careconference.eu/site/sites/default/files/Part201.pdf.